The uppermost dot in the right column is aligned with the oblique line in the left circle, but one of lower dots appears to be aligned. Akiyoshi's comment: This may be a new geometrical illusion! Because Professor Watanabe will discover or produce more illusions in the future, I have inserted "2010" in the title. 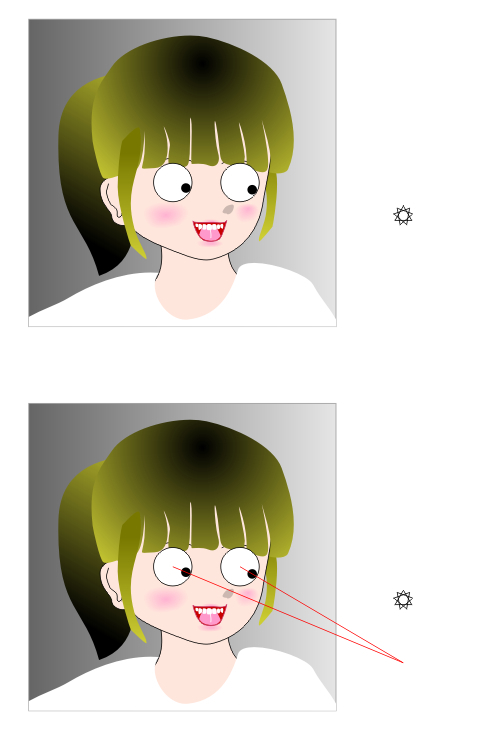 "Watanabe illusion 2010: its eye direction version"
In the upper image, the girl appears to look at the star. 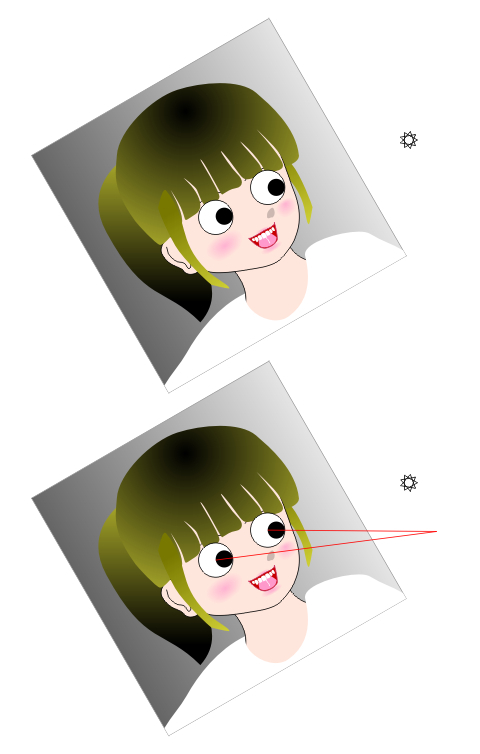 Actually, she looks at the point below the star, as shown in the lower image. This eye-direction demonstration as well was first produced by Professor Watanabe. Akiyoshi's comment: This version gives even stronger illusion! 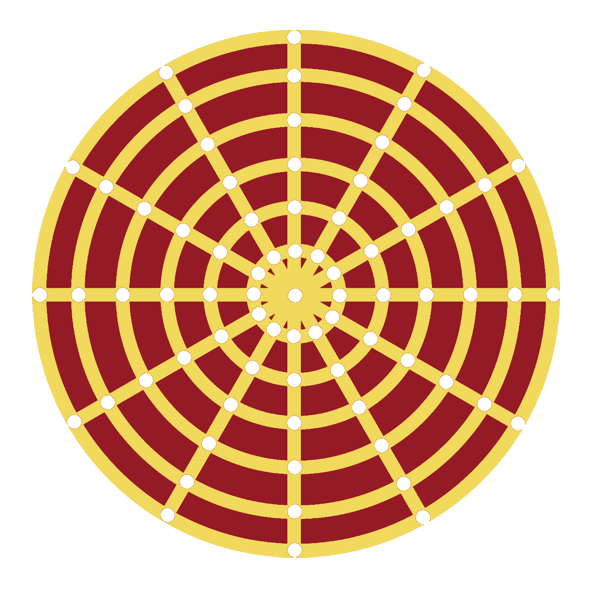 This illusion depends on the visual field anisotropy. If the eye direction is horizontal, the illusion magnitude reduces (the girl does not appear to look at the star). 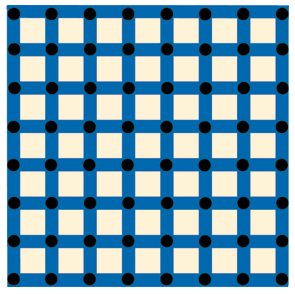 "Watanabe illusion 2010: its eye direction version (Watanabe's original)"
Illusory red flashes are observed in black dots. Illusory blue flashes are observed in black dots. 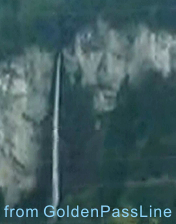 The direction of the road appears to be different between the two photos, though they are the same (Leaning Tower illusion). 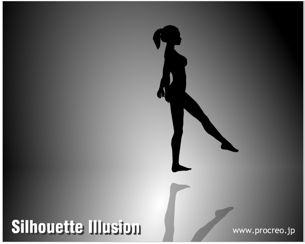 When the lady appears to rotate clockwise seen from above, the right leg as well as the right arm appear to be raised. On the other hand, when the lady appears to rotate counterclockwise seen from above, the left leg and the left arm appear to be raised. Three circles with moving background.